If you captured the idea of ? 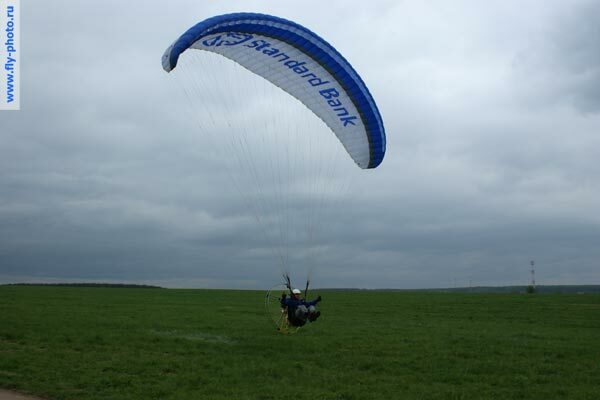 ?master paragliding - we are your helpers. 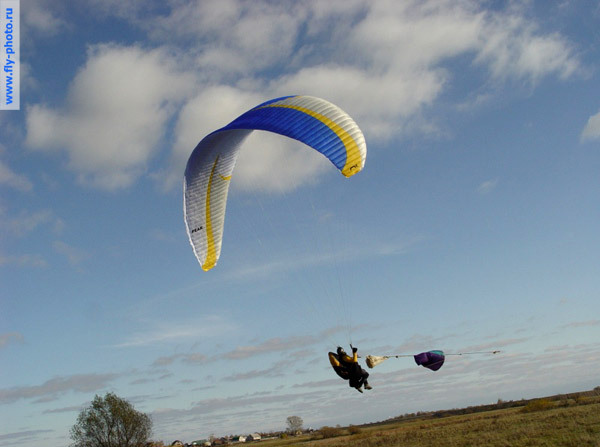 To set the height and en-route pilot paraglider uses thermals rising, arising from the difference in overall air temperatures and rising from the heated ground air masses, as well as the dynamics that occur at the boundary of a collision with a wind barrier, usually a hill or mountain. Thermals able to keep the glider in the air from the buildings will begin at 150 meters. Also, for the initial climb and reach the zone heat flux is used for tightening the winch. Control technology glider, virtually anyone can master, but it certainly is not a one-time walk behind the pilot on a tandem. You will be led by an experienced instructor to master the techniques of control glider, both on land and in the air. Without these skills, flights will be unsafe and, therefore, impossible. 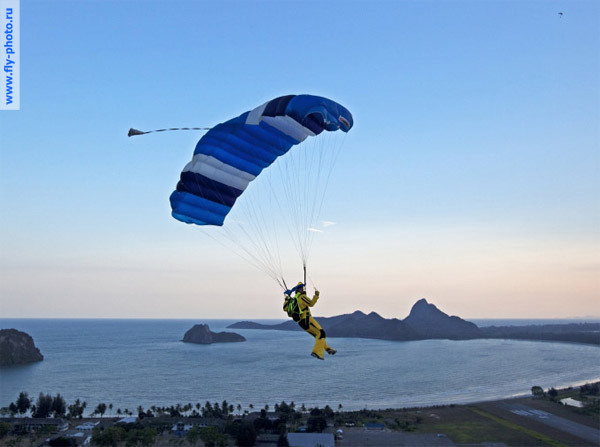 Paragliding - it is a dome made as multisection wing of a light, tightly woven with special impregnation, which makes airtight dome. This is similar to a parachute papaplan as that in the management of these aircraft in the air by means of straps are used. But this analogy ends. Due to the configuration and the large area of ? ?the dome, as well as better aerodynamic quality of the glider can stay aloft indefinitely. Certain skill requires taking off on a paraglider. After all it just climbs in thermals, which are formed at least 100 meters above the ground. This problem is usually solved by traveling to places specifically for this purpose established a special winch with a long rope spanning the glider to a height of over 100m. 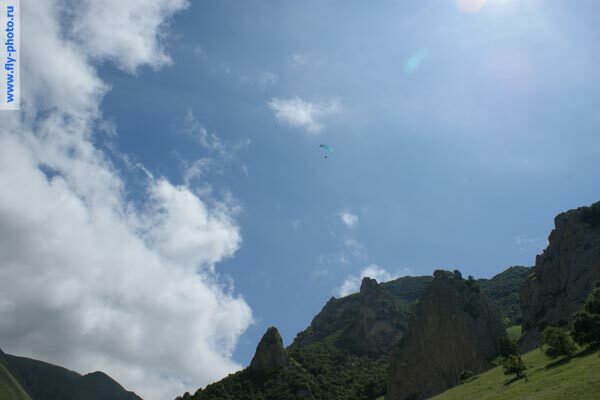 However, acquiring skills in FLY PHOTO, you probably would find an opportunity to get a glider into the mountains. There are your impressions are amplified many times. We know what we say. There's other reviews, other perspectives, other, more powerful and unpredictable air currents. It is clear that to make such flights are safe, require skills that without the help of experienced instructors are not available. 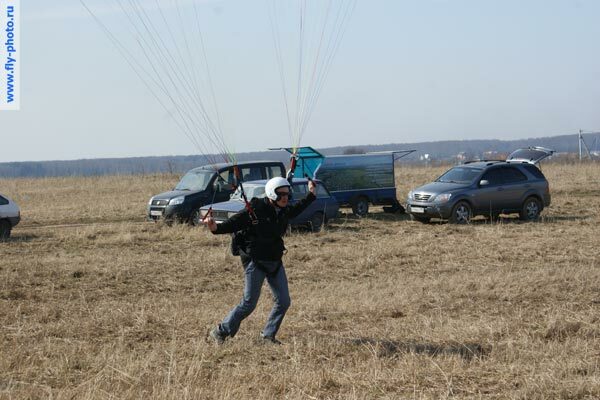 The next stage began paragliding flights with a paramotor. Make safe flights without any special training - is impossible. The mere fact that behind the high speed rotating propeller, a pilot requires a certain level of professionalism, and attention. 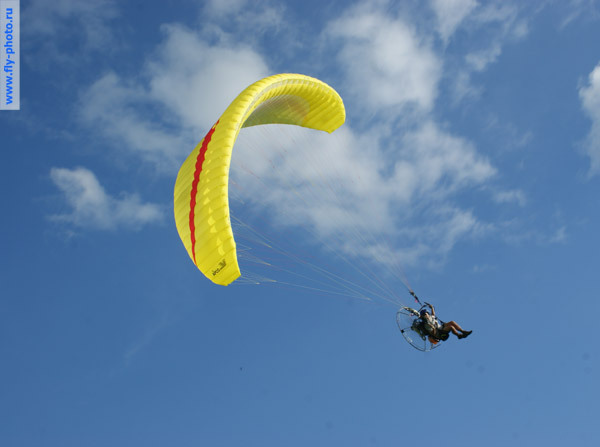 Motoparaglide, of course, extends the capabilities of paragliding. There are times when up to a certain place can only be reached with a motor, or the same - a flat terrain, no winches, hoists or not, and need to take off. But motoparaglide requires additional skills. To land with outstanding dome and with a heavy engine behind them, we need multiple training under the supervision of experienced mentors. Flight testing of the thermal to the upstream flow. With the FLY-PHOTO You can learn how to fly on paramotoplane and virtuoso paraglider and safe control of course, there are limitations. This is - your health. It must meet certain medical criteria, not to make unnecessary risk to your flights.